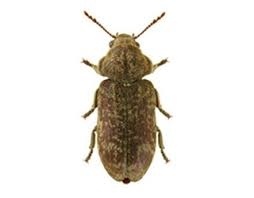 Woodboring beetles are commonly detected a few years after new construction. 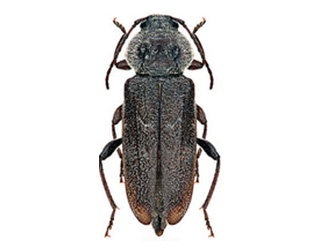 The lumber supply may have contained wood infected with beetle eggs or larvae, and since beetle life cycles can be one or more years, several years may pass before the presence of beetles becomes noticeable. If you have an infestation of woodboring beetles, it is best to consult a professional entomologist before contacting an exterminator. 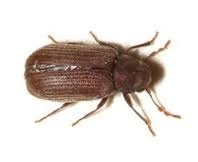 In many cases, the beetles will be of a type that only attacks living wood, and thus incapable of "infesting" any other pieces of wood, or doing any further damage. In other words, not all beetles should be of concern to a homeowner or a household (see list below), and exterminators may be unable or unwilling to make this distinction. Characteristics Furniture beetles are very small and brownish in colour, with an almost cylindrical body. The thorax (the part of the body between the head and the abdomen) is typically arched to form a hood, which almost conceals the head. They have medium length, clubbed antennae. The larvae of different species of furniture beetles are very different to distinguish between but they are all soft, curved and have very small legs and are better known as woodworm. The frass (dust) from the borehole consists of lemon-shaped gritty pellets. 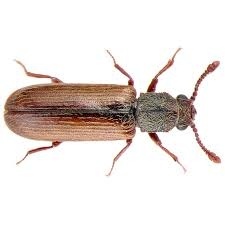 The furniture beetle is a very common pest of timber and furniture and is or was present in the majority of houses. The adult beetle emerges during the summer months after eating its way out of the timber through circular flight holes. It is at this point that the frass (wood dust) falls out of the timber. The beetles can fly but will only live for a couple of weeks. Shortly after emergence from the wood they mate and the eggs are laid in crevices on the end grain or unplanned timber, and often in old exit holes. The larvae prefer softwoods but can live in hard woods, but they do not attack the heartwood. Xestobium rufovillosum, the death watch beetle, is a small (4-7 mm) wood-boring beetle in the family Anobiidae. The larvae of these beetles infest hardwood timber, but the wood must contain fungi or the beetle is not able to utilize it. Thus X. rufovillosum is found primarily in wood with moisture content greater than 14%. In forests, the death watch beetle is found in various hardwood species. When these beetles invade homes, they are found in wooden housing supports (especially oak) and heavy hardwood furniture (chestnut or oak). Death watch beetles are a common and important pest in Europe. They are also common in Eastern North America, although not nearly as important a pest species. The larvae of these beetles fill their galleries and tunnels with discrete pellets of “bun-shaped” frass, which is diagnostic of an infestation of this species. Their tunnels and exit holes are about 3mm in diameter. 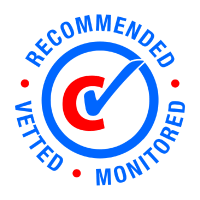 This pest may live for up to seven years, or complete their life-cycle in one year, if conditions are favorable. In order to attract mates, adult beetles produce a clicking/tapping noise by bumping their heads against wood, usually at night. This eerie sound was considered a superstitious death signal, and earned the beetle its common name: death watch beetle. The key identifying characteristic of this family is long, thin antennae that ore often as long (or longer) than the body of the beetle. The adult old house borer can be from 5/8 inch to 1 inch in length, with the males typically being smaller than their female counterparts. The beetle's body has a slightly flattened appearance. Its color may appear dark gray, but is usually brownish black to black. The prothorax (behind the head) is rounded in shape and contains two raised, shiny black "bumps." The wing covers of the old house borer are black, with lighter gray colored areas forming bands that are usually present about one-half down the wing covers. Yellowish-gray hairs may be present on the head and the prothorax. It is not often that a homeowner (or pest control operator) actually finds adult old house borers in a structure. 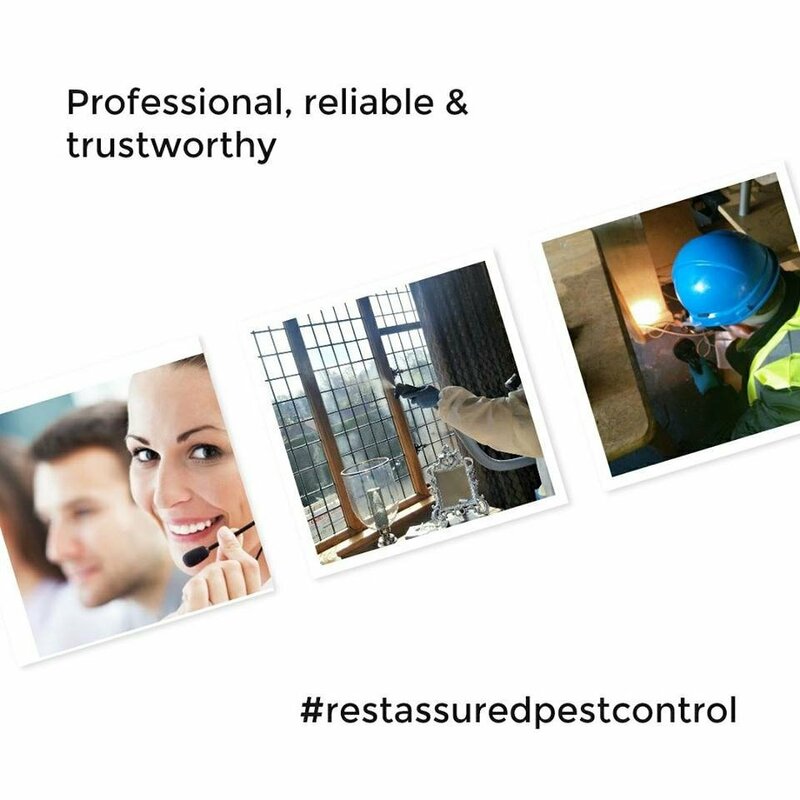 As will be explained later in this article, the sound of the larvae feeding inside timbers, exit holes and frass are the signs that point to an actual infestation. Some weevils, which attack wood in the forest, work initially in the phloem-cambium and then complete their larval development in the wood such damage is usually characterised by the tightly packed frass, which breaks off in pieces. Weevil workings are always round and invariably occur in moist wood. 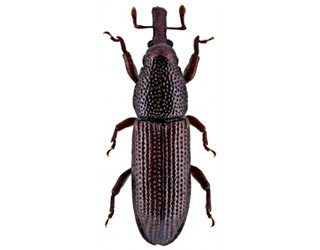 The express bark weevil Aesiotes leucurus that measures 12-18 mm in length, is a pest of the phloem-cambium region of ornamental cypresses and pencil pines. It attacks trees, which have been injured or debilitated through growing close to other trees of the same species and competing for soil. Nutrients in the same area. The eggs are laid in the bark and the young larvae feed in the phloem-cambium region until they are fully fed, when they construct a small chamber immediately beneath the bark. This chamber is lined with strips of wood and when pupation is complete the weevil emerges by cutting a round hole about 6 mm in diameter.